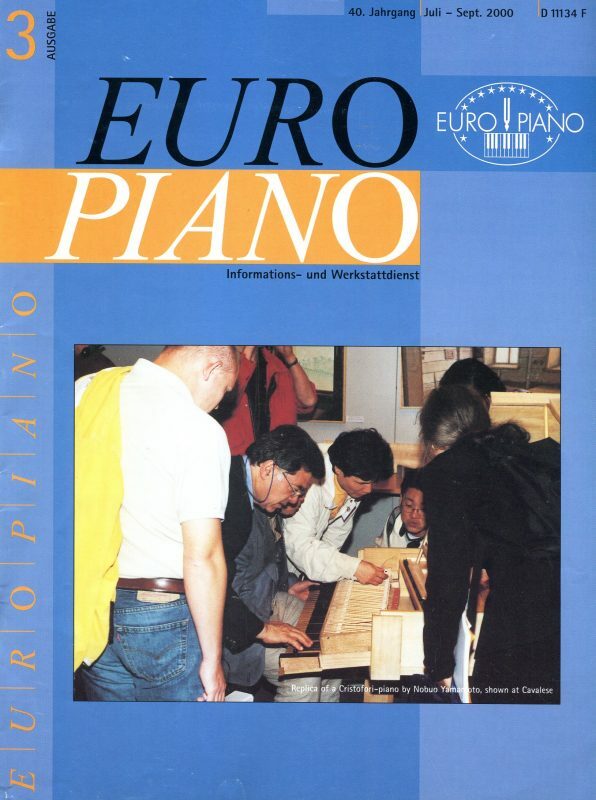 The magazine "Europiano" was started in 1961, and has ever since been the leading forum, tightening the union together. 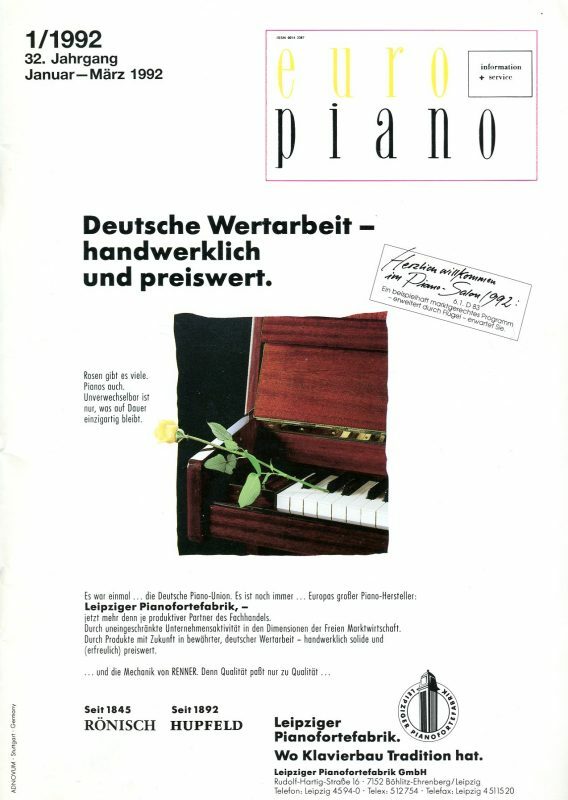 "Europiano" appears four times a year. It gives all members an unique perspective on the colleagues their everyday work and life. 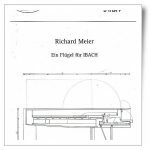 New technical articles are published on a regular basis, and the "Europiano" represent one of the best platforms for such – worldwide. All the content is translated simultaneously into several of the core languages of Europe. Also this is a unique feature – not to be found anywhere else. By its commercial ads, business news and job-ads it connects the business to the craft. 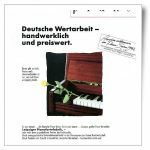 A subscription on the "Europiano" is not only a very valuable tool for the professionals, - but also a support to the ideals of "Europiano". 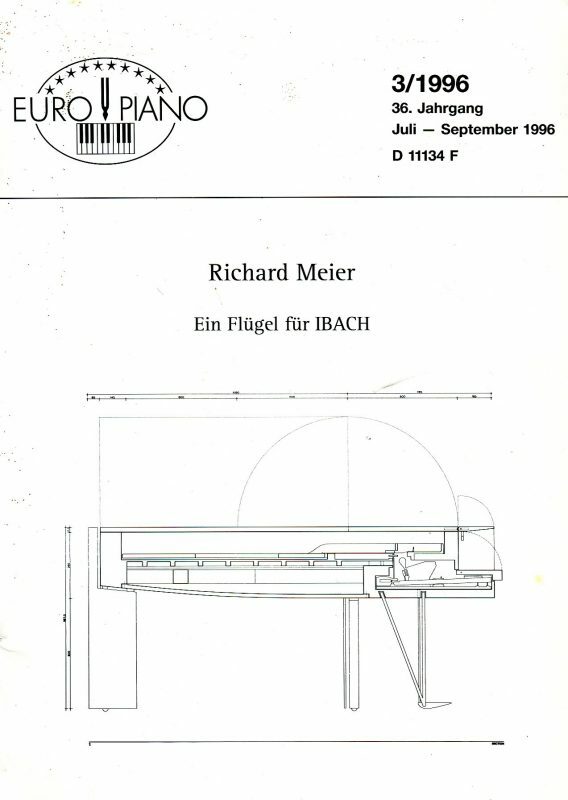 From 2016 onwards the “Europiano” magazine will no longer be published by PPV Medien, but will be issued by the Union of European Piano Maker Association's own publishing organization. 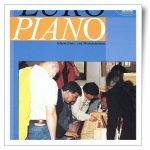 Association members continue to receive Europiano within their membership.